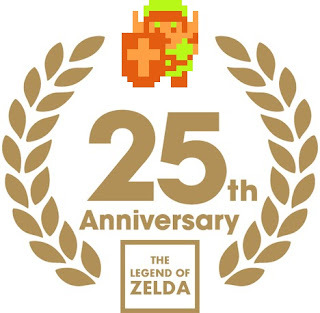 Today marks the 25th Anniversary of The Legend of Zelda. At 27 I'm old enough to remember this debut. Though I was only 2 at the time of it's release, I enjoyed this very tough and in-depth video game for the time. The legend of a franchise it has become since then continues to rope in gamers young and old. Like others, at first I thought Zelda was the name of Link but obviously that was corrected quickly. Great memories in my life can be pinged to playing the SNES's A Link To The Past and the N64's Ocarina of Time. I've not forgotten the games that have come out since but admittingly, I've only played them a few hours apiece (for now). Congrats again Miyomoto-san for another milestone in yet another genre creating game. As an aspiring game programmer, anime fan and life-long gamer, I salute you and another 25 years of epic gaming.